Today was Day 4 of the race. We raced in Big Piney today. Big Piney is known as the “Ice Box of the Nation” because of their cold temperatures in the winter. This leg of the race is a 35 miles beginning at Middle Piney Parking Lot. Last year’s race was cancelled because of lack of snow. 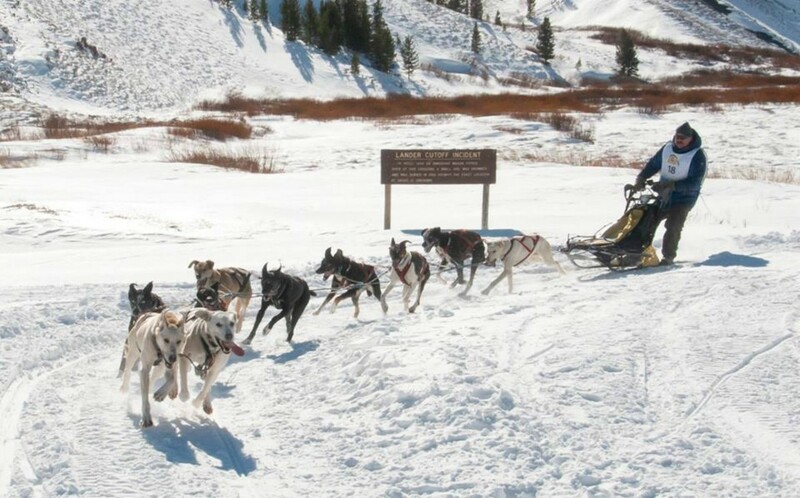 This year mushers were greeted with plenty of snow. We had a big turnout of spectators. Everyone cheered them out and watched as they disappeared into the trees as they began today’s race. After seeing the racers off many of the spectators headed to the concession trailer for hot chocolate. 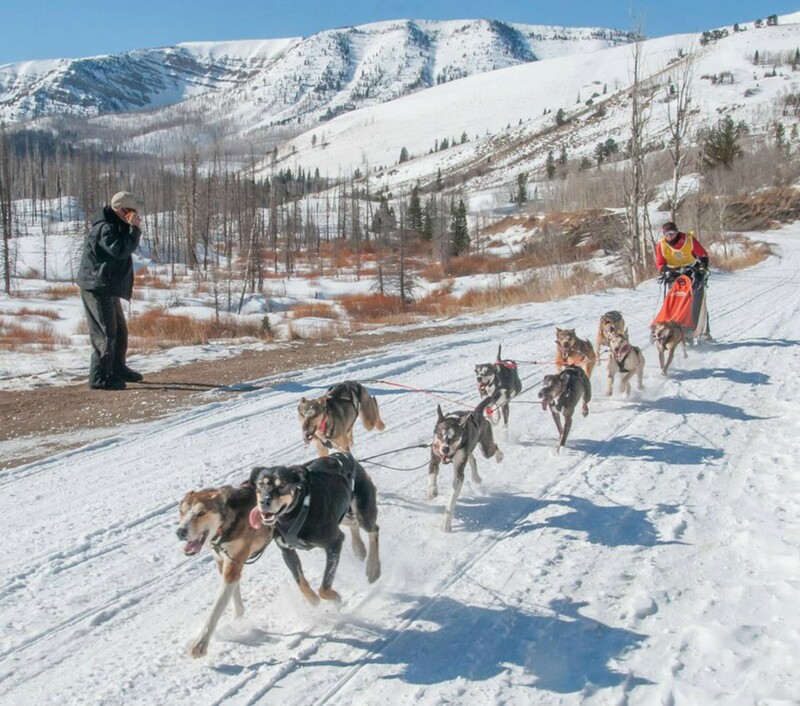 As I walked around the staging area, the dogs seemed anxious to race today. I am so impressed by how much these musher care for their dogs. They are always giving lots of pets and encouraging words. It is very obvious how much they love them. The racer with the fastest time today was Lina Streeper with a time of 2:19.09! She averaged about 15 miles per hour. 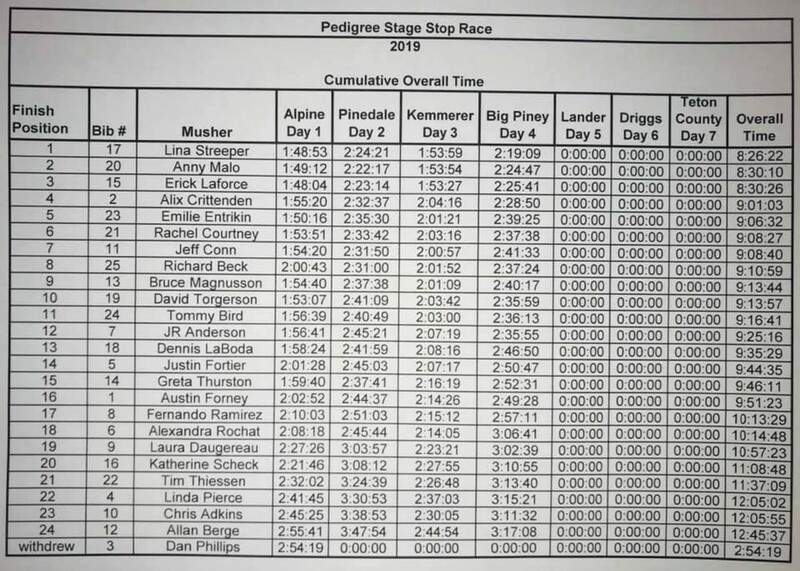 Lina will wear the Yellow Bib in tomorrow’s race in Lander, Wyoming. 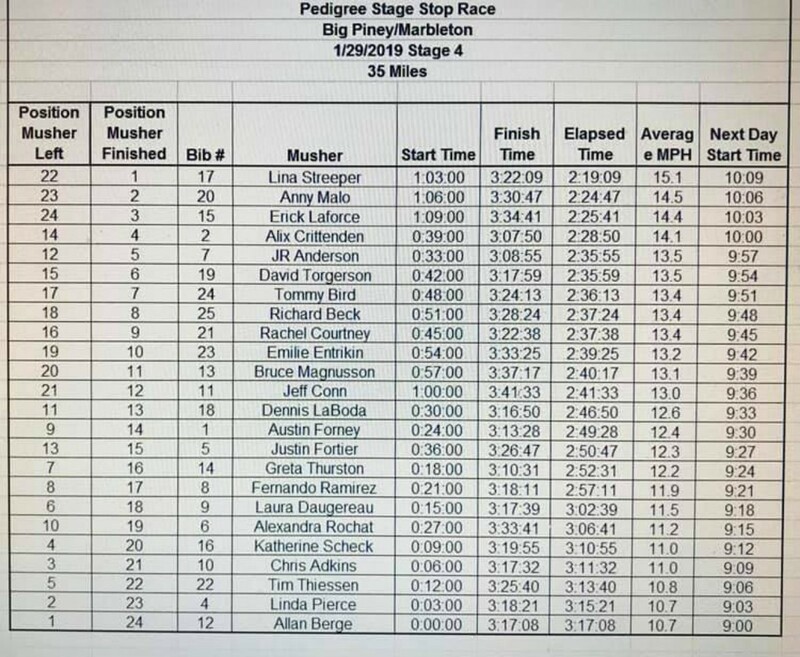 Check out the results of today race. How is your favorite racer doing? ?